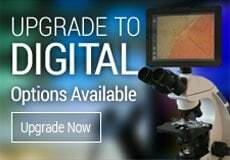 As a clinician, lab supervisor or medical tech,you need a biological microscopes that fit your needs and job demands. We carry clinical microscopes from leading brands including Motic and Meiji. Our medical microscopes are ideal for clinical, University and Institutional applications. Phase contrast microscopes are best for viewing bacteria and blood cells. The phase contrast objectives and condenser allow the user to view particles that are the same color as the background they are on. This page offers a great example of two images as they are compared through a brightfield microscope and a phase contrast microscope. 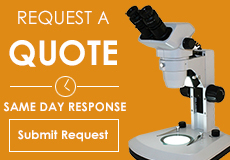 Review the microscopes we have featured on this page.